I feel very strongly about certain interest groups taking away heritage and trying to eradicate history for the sake of political correctness. This initiative is being supported by important celebrities and politicians from Mississippi. I am honored to be a part of it. Thank you very much for inviting me to participate. With the outbreak of the war, the men of West Point faced very different challenges depending on which side they fought. Those who defended the Confederate cause had the enormous task of building an army from scratch, while their Union counterparts had to deal with the beauracracy that denied them promotion. Either way, they had to take what they had learned at West Point and put it to the ultimate test on the battlefield. Of the 278 cadets at West Point on the day that Lincoln was elected, 86 were appointees from the South. Of them, 65 were discharged, dismissed or resigned because of their loyalty to their native states. More than 300 West Point cadets and graduates affirmed their loyalty to the South. If there was one graduate whose class ranking overshadowed the greatness to come, it was Robert E. Lee, the legendary Commander of the Army of Northern Virginia. Lee was known as “the Marble Model” at West Point. He had a perfect record in conduct. He never received a single demerit, an accomplishment that remains unmatched, and he graduated second in his class. Being a graduate of West Point himself, Jefferson Davis appointed West Pointers throughout his administration as general officers in the Confederate Army. Starvation, literal starvation, was doing its deadly work. So depleted and poisoned was the blood of many of Lee’s men from insufficient and unsound food that a slight wound which would probably not have been reported at the beginning of the war would often cause blood-poison, gangrene, and death. “Winter poured down its snows and its sleets upon Lee’s shelterless men in the trenches. Some of them burrowed into the earth. Most of them shivered over the feeble fires kept burning along the lines. Scanty and thin were the garments of these heroes. Most of them were clad in mere rags. Gaunt famine oppressed them every hour. One quarter of a pound of rancid bacon and a little meal was the daily portion assigned to each man by the rules of the War Department. But even this allowance failed when the railroads broke down and left the bacon and the flour and the mean piled up beside the track in Georgia and the Carolinas. One-sixth of the daily ration was the allotment for a considerable time, and very often the supply of bacon failed entirely. “When their own soldiers were suffering such hardships as these in the field, the Confederate leaders made every effort to exchange men so that helpless prisoners of war would not suffer in anything like equal measure, offering even to send back prisoners without requiring an equivalent. Hence, the charges brought against the Confederate government of intentional ill-treatment of prisoners of war are not supported by the facts. [In the South] the same quantity and quality of rations were given to prisoners and guards; but that variety in food could not be had or transported on the broken-down railway system of a non-manufacturing country, which system could not or did not provide sufficient clothes and food even for the Confederate soldiers in the field. Spring is in the air, and daylight savings time starts this Sunday.(Yay!) At Beauvoir, Jefferson Davis’ retirement home, the rose garden that his wife, Varina Howell Davis, created has recently been reconstructed. (After Hurricane Katrina hit, it took out the original gardens.) The beautiful gardens are historically exact to the ones that Mrs. Davis planted back in the 1880’s. The story about these gardens is as follows. 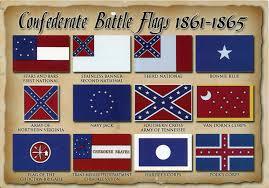 Thanks to the Sons of Confederate Veterans, Samuel A. Hughey camp #1452 for this information. In this and subsequent letters she wrote over the next few months, Mrs. Davis described in both words and sketches the lay-out of the garden and the great variety of flowers, fruits and vegetables she planted. Her kitchen garden produced items for her table such as strawberries, artichokes, radishes, peppers, eggplants, Irish potatoes, and asparagus. There were both common and exotic fruit-bearing trees, including oranges, citrons, figs, peaches, apples, pears, quince, pomegranate, and jujube. Flowers and fragrant flowering shrubs abounded– gardenias, jasmine, anemones, gladiolus, Japan lilies, St. Joseph lilies, fire lilies, and mignonette. Roses, however, were the star attraction of her circular flower garden, and Varina collected and cultivated cuttings of many different varieties. When Mrs. Davis left Beauvoir following her husband’s death in 1889, her lovely gardens slowly fell into neglect. The remnants of them were largely eradicated by Hurricane Katrina. Although over the years various efforts have been made to restore the gardens, until now no comprehensive restoration has been attempted. The present project to restore Varina’s renowned gardens at Beauvoir is the result of several years of exhaustive research and study and is funded by grants from the Mississippi Dept. of Archives and History and the National Park Service. Reconstruction of visitor walkways and fences destroyed by Katrina are being funded by FEMA. As the Beauvoir estate is a National Historic Landmark, designated by the Secretary of the Interior, it is very important to preserve both the main house and its historic landscape setting. Restoration of Varina’s garden will not only reestablish a significant historic feature of Beauvoir’s landscape, it will also provide an important attraction for the Gulf Coast’s heritage tourism industry. Just as the gardens brought much joy to the Davis’ and their guests in the late-19th-century, the restored garden will, no doubt, continue to bring beauty and enjoyment to future generations of Mississippi families and visitors to our state.